This is my contribution for the 2018 Heart to Heart Calendar. Calligraphy with a broad-edged pen and black ink. 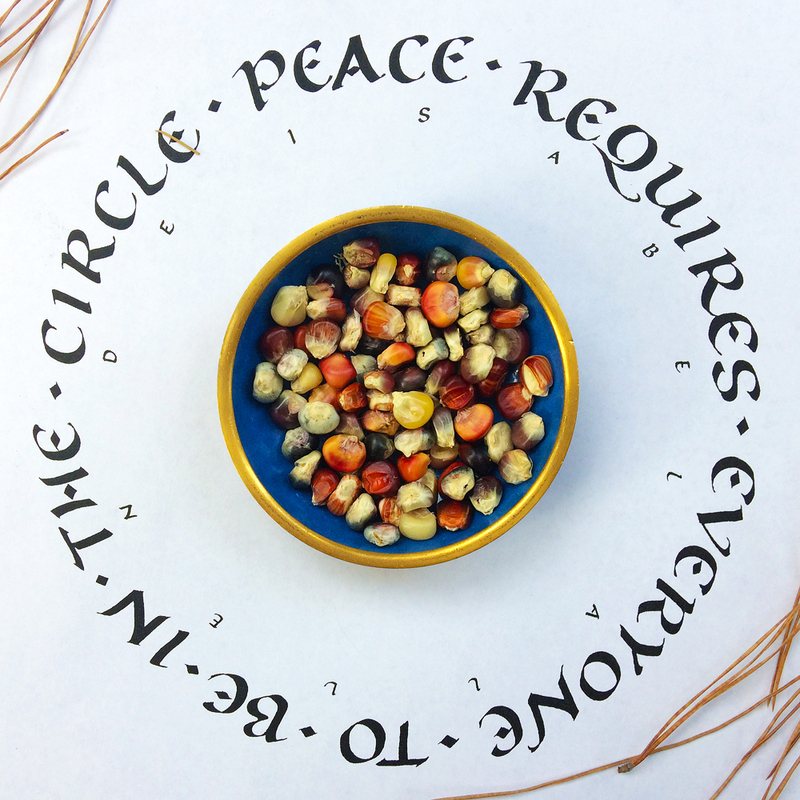 Maize from a tended garden; pine needles from a wild place. The quote, by Isabel Allende, speaks to me. I love working in and with circles. Circles are more than a simple shape. They are a way of being, of believing, of understanding time, of relating to other people and other creatures with whom we share our round earth. I love circles too: such a joyful challenge to make the words fit just right, and so satisfying when they do. Your piece is lovely!! Thank you, Carol! I was especially pleased with the attribution, which is always a challenge. Cari, that’s lovely — and timely! I’d love to get one of the calendars, do you know where they are available? Thank you, Michele. The Heart to Heart calendars are not sold, but a labor of love by the publisher … all contributors are given a few to share. Cari, this is beautiful; thanks for making my day! Thank you Cari, the image and sentiment are beautiful.